Thanksgiving is next week folks. Next. Week. Are you ready? Most of my meal is planned but still need some appetizer ideas and other Thanksgiving recipes. Thoughts? Got a recipe to link up for me? Please do…. My menu so far is a Honeybaked Ham (because my work gives us a gift card every year), my famous green bean casserole and my orange cranberry sauce. But I need some other ideas. Please help and spam me with your Thanksgiving recipes. Features this week are all about Thanksgiving so read on and enjoy! 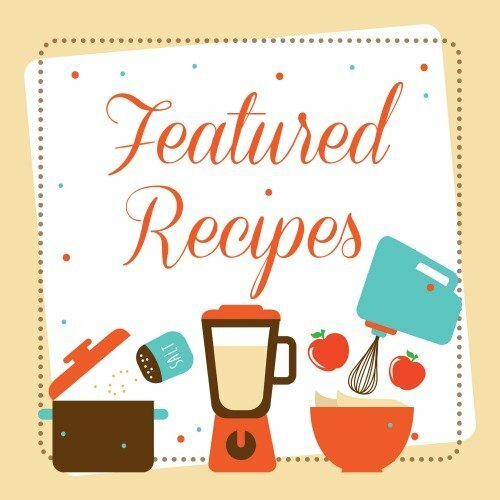 Here are some Thanksgiving recipes for you! Thank you for featuring my spiced cider! Thank you so much for hosting again this week. You always do so much for bloggers! Have a relaxing week! I am off to see some posts.